Barcelona take on Premier League champions Leicester City in the second of their three International Champions Cup games on Wednesday night. 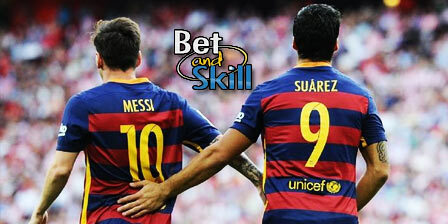 This article contains our BARCELONA v LEICESTER betting preview with free predictions, betting tips, best odds, probable line-ups, bookie free bets and exclusive no deposit bonuses on the ICC 2016! Barcelona were comfortable winners over Celtic in Dublin as they opened their account in the International Champions Cup. Lionel Messi did play for 45 minutes of the game but the Blaugrana were not at full strength. Before their upcoming fixture against Sevilla in the Super Cup, Luis Enrique's men will still play friendly fixtures against Sampdoria and Liverpool. New signing Andre Gomes is not expected to feature here, and as consequence Sergi Roberto, Arda Turan and Denis Suarez are likely to start in the middle of the park. Neymar is on international duty with Brazil at the Olympic Games and should be replaced by Munir El Haddadi. Adriano completed a move to Besiktas while Martin Montoya has been released by the club and joined Valencia. Leicester opened their summer with a 2-1 win at Oxford and then played out a 1-1 draw with Celtic in the International Champions Cup were hammered 4-0 by PSG on Saturday, although a few key players including Jamie Vardy were rested for that trip to the United States. It will be important that the Foxes bounce back from that defeat and a draw or a win here will be just that. N'Glo Kante left the team but Foxes have also been able to add to their squad, with new signings such as Ahmed Musa likely to be on show in this game against Barca. Luis Hernandez has been signed to add depth to Leicester’s defensive cover, while the new goalkeeper Ron-Robert Zieler – who could play at the Friends Arena – will provide an alternative for the established number one at the King Power, Kasper Schmeichel. Jamie Vardy will miss out, hence Leo Ulloa and Shinji Okazaki will lead the line. BARCELONA (4-3-3): Jordi Masip; Aleix Vidal, Martinez, Mathieu, Camara; Denis Suárez, Sergi Roberto, Arda Turan; Messi, Luis Suárez, Munir. LEICESTER (4-4-2): Schmeichel; Hernandez, Morgan, Huth, Chilwell; Mahrez, Mendy, Amartey, Schlupp; Ulloa, Okazaki. Price boost - 5/1 Barcelona to beat Leicester + £100 bonus! "Barcelona v Leicester predictions, betting tips, lineups, odds and free bets (ICC 2016)"